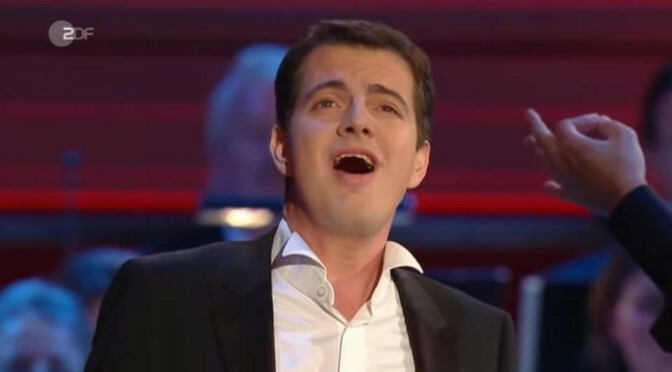 Accompanied by the Konzerthausorchester Berlin, the French countertenor Philippe Jaroussky sings Ombra mai fu, the opening aria from the 1738 opera Serse by George Frideric Handel. Conductor: Vasily Petrenko. The title translates from the Italian as “Never was a shade”. It is sung by the main character, Xerxes I of Persia, admiring the shade of a plane tree. per voi risplenda il fato. né giunga a profanarvi austro rapace. let Fate smile upon you. nor may you by blowing winds be profaned. The Konzerthausorchester Berlin is a symphony orchestra based in Berlin, Germany. The orchestra is resident at the Konzerthaus Berlin, designed by the architect Karl Friedrich Schinkel. The building was destroyed during World War II, and was rebuilt from 1979 to 1984. In 1974 the Berlin Sinfonietta was founded to serve as the chamber orchestra of the “Berlin Symphony Orchestra” today the “Konzerthausorchester Berlin”. Kurt Sanderling was the longest-serving chief conductor of the orchestra, from 1960 to 1977.